I feel it most when sand runs through my fingers and the water rushes to the shore only to run back out again. I breathe deep and let the words run through me to form sentences which frame stories. It untethers my word-weaving-soul. I open my eyes and think how God must’ve felt the same way as he formed our world from nothing. This is my gift—to write little things and big things, like the sun sinking into the earth, community, God and hurts alike. Lately sentences have been hard to form. Stories—empty. Pages—blank. Ink—dry. Mainly because I can’t see myself, I’ve lost my purpose and can’t see how He is shaping me. At least until a friend dragged me to the dump one weekend. Standing in 88 degree heat with baseball cap on my head and a hot latte in my hand—I stood in the midst of her story unfolding. She spends her afternoons rummaging through tall piles of abandoned pieces of wood. 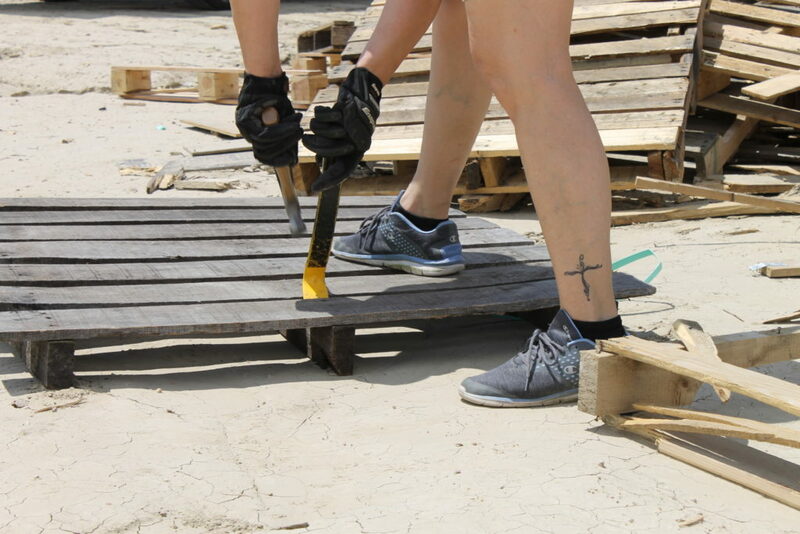 Pallets, old barn wood and construction boxes. 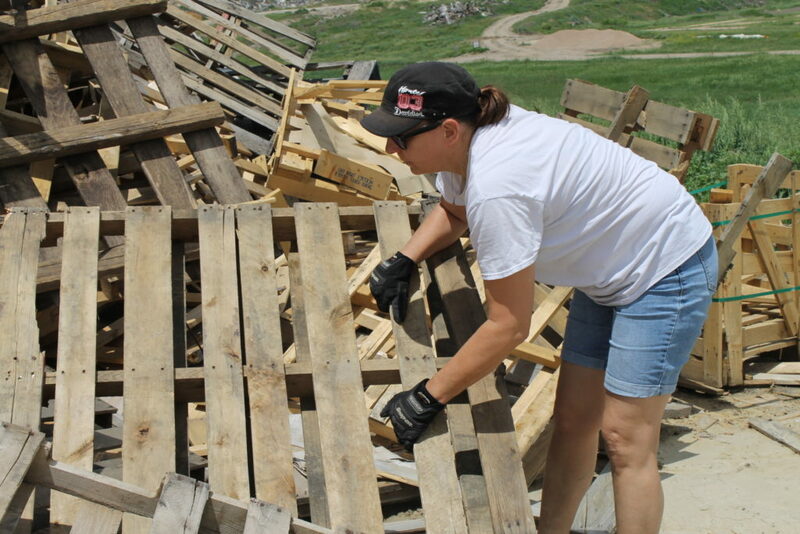 To her, a pile of wood standing two stories high isn’t junk. She sees what I can’t see. 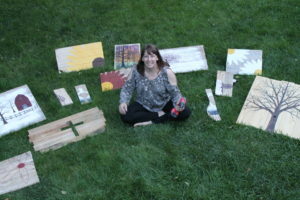 An old barn panel waiting to be dressed in paint and stain of a red dressed girl swinging into the sunset. An old pallet waiting to be Pottery Barn table. She sees the future for jagged pieces of decaying wood, dead and lifeless to become a canvas for arrows, flowers, and bold words. I’m her adopted sister and sacarcasm runs deep as she sweats in the sun making fun of my latte. I banter back about sunburns and better things to do than being at the freakin’ dump, and the fact she loves the smell of the garbage baking in the sun. To her—it’s a treasure trove of things waiting for new life. 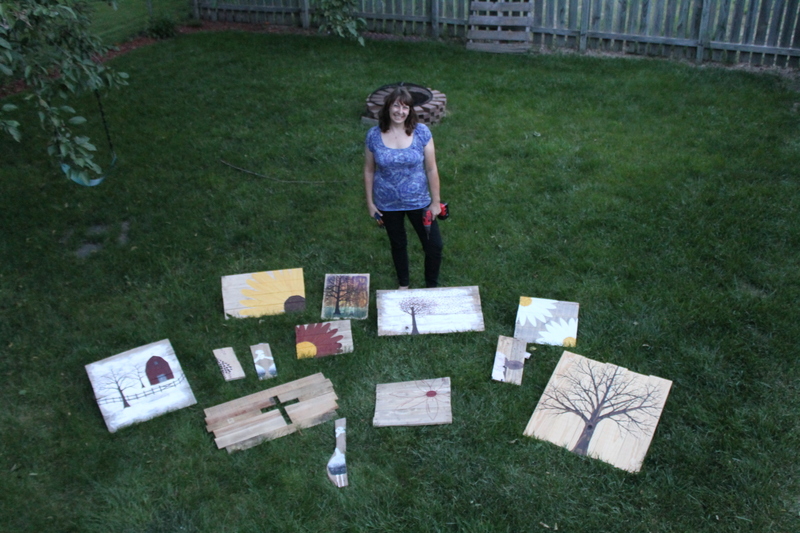 She crawled around the pile until her trained eye spotted a piece ready to be refined. She found old barn wood, jagged and full of splinters. A discarded pallet. “Now this is worth the trip,” she quips as she grabs her crow bar and hammer; eager to pull rusty nails from it’s flesh. Sweat trickles down my back as I question her sanity and the value of wood I think is perfect for a bonfire. 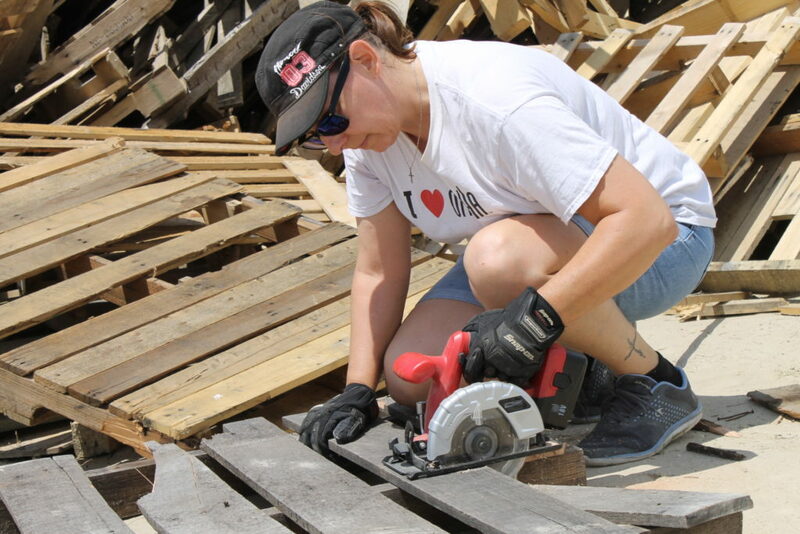 As I watched Cindy pry nails and boards apart to be shaped into something new, I wondered how many of us are willing to be laid bare on His table? Are we willing to go through the process as he puts on His gloves and gets to work, cutting off pieces of our lives that no longer fit. He nails us into place all the while leaving His fingerprints all over His creation. I see it in every one of Cindy’s pieces of art. But the question is this: Are you willing to be refined? Are you willing to wade through the process to see what His tomorrow brings? 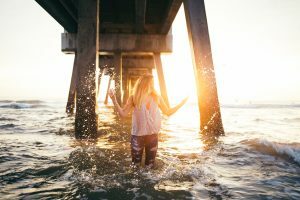 Why I talk about depression is so maybe someone else can heal. I’ve been asked this dozens of times, when I was in labor with my kids, when I wrapped my Suburban around an electrical pole, after several surgeries, and, thankfully, from a counselor when I was dealing with depression. That’s the thing with pain — it’s white hot and intense. Like birthing pains, the next pang hurts worse than the last, so we avoid or escape it at all costs. We hide from it, block it with a pill, cover it up with makeup and a smile that says, “I’m fine.” We attempt to control it with personal vices. That’s another thing about pain, it seems as if no one else can feel what you’re going through. Often, it leaves us gasping for air because we’ve been taught by our culture that it’s not OK to invite someone into your mess, your pain. 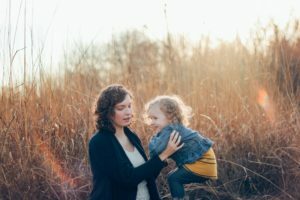 So when a friend began treading water sinking into depression because of a failed marriage of more than 20 years, I didn’t tell her any of those things. I chose the opposite. The thing is pain isn’t your enemy. It reminds you that you’re human, that you’re alive. Pain gives rich meaning to life experiences. It reminds you that you had experienced something good, amazing, joyful, but it sounds bells signaling something is not right. In my experience it forces you to places such as church, hospitals, in the arms of friends and a counselor’s office so healing can begin. Without pain, there wouldn’t be an indication of healing to be made whole. And if you’re that person who went to places like church, hospitals and counselors for help but found a solid door, try the next one and the next one. How did I heal? I embraced the hurt instead of running from it. I shared my mess with a friend and took her advice to see a counselor. It allowed me to heal as I stood my faith in Jesus and created a community of support. I had friends who opened their homes, their couches and their fridges to me. We laughed over our kids and cried over the seemingly shattered bits of life. 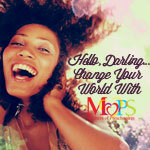 We shared comfort foods, coffee and conversation as I healed from depression. 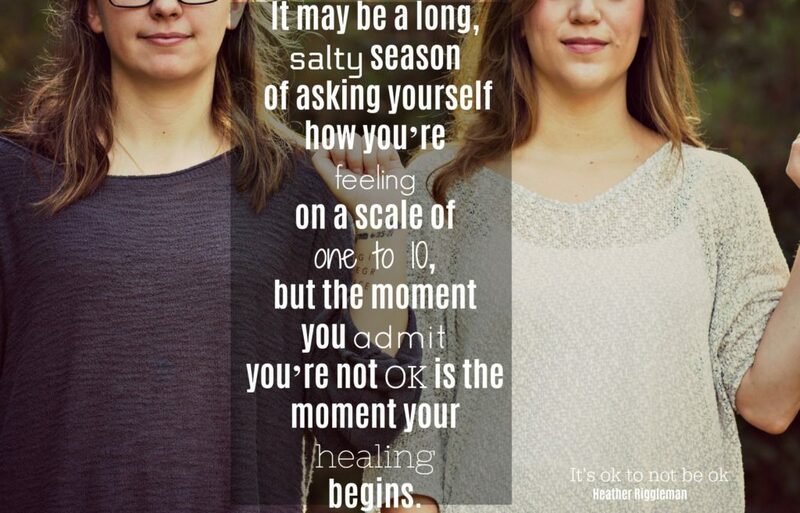 I was allowed to not be OK and I was embraced so I could heal. 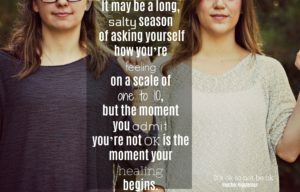 It may be a long, salty season of asking yourself how you’re feeling on a scale of one to 10, but the moment you admit you’re not OK is the moment your healing begins. Published in the Kearney Hub Newspaper – November 26, 2016. For weeks now, my kids, husband and extended family have been asking me what I Christmas. And I’m supposed to say, that I’m happy, that I don’t need anything. It’s true, I really don’t need anything other than my sanity. Regardless of what I say, the kids and the hubby will pool their money and attempt to surprise me with well-intentioned gifts such as pajamas, bath oils, or some kitchen gadget I have zero chance of using correctly before breaking it in the first five minutes. So here’s the thing, I do want something for Christmas. I want to knock a few items off my “everyday things I have to navigate through without losing it” list. And if I’m like most women (which I hope I am but I could be wrong), others may appreciate some of the same gifts. So here’s my REAL Christmas list. – I want every sock in the house, maybe the whole world to find its match and keep it forever. – I want a couch free of dog fur. I want to be able to wear clothes without white fur floating everywhere. – I want the rabbit to be gone, forever. I’m tired of bailing him out of bunny jail, or waking up in the dead of the night to him sitting on my chest. And I’m really tired of finding all my bras in his nest. – I want someone else to feed the dogs and the rabbit. That was the deal y’all. – I want friends and family to call me instead of checking my Facebook status. I really want friends and family to assume Facebook is being wonky and to re-friend me. I can’t tell you how many times Facebook has de-friended my grandma. Sorry Grams! – I want to be notified a month ahead of time about crazy week, field trips or dress down day. I want to actually remember that I did get notification. – I want the sink to be empty and the dishwasher, too, for that matter. I want all the plates, cups, bowls and gooey peanut butter knives to be washed or licked clean. – I’d like an intercom system installed so I don’t have to yell up the stairs or turn off the shower. – I want a car free of banana peels, wet towels and homework. – I want bacon every morning, without the calories or my hair and clothes smelling like bacon. – I want to be able to find pens, packing tape and scissors. Seriously where are the scissors? – And the TV remote, where is the remote? – I want to able to have coffee every morning instead of someone else drinking all the coffee before it has a chance to finish percolating. – May the wine cabinet always be full and the tea cupboard stocked. – I want my hair dryer to stay in my bathroom instead of playing hide and seek every morning. – For the love of sanity, let there be a never ending supply of hairbrushes, mousse, and hair ties and Bobbi pins. – To Cheyenne’s first class teacher, could you at least respond and let me know you like the variety and creativity of my “Please excuse Cheyenne for being late” notes? – Let there be no more homework! – I want the empty cartons, cereal boxes, etc. to actually magically disappear and magically appear on my shopping list. – I want the laundry to actually wash, dry and fold itself instead of finding the load on the fluff cycle for the last 36 hours. – I want the lunch ladies to give me a break. Yes, I know I need to pay the lunch accounts, I got it from the first email, text message and phone call. – I want the bathrooms to be clean. May the toilet seat always be down, the towels fresh and trash cans empty. – I really want time to slow down. I want to spend more evenings at home than at meetings, practice, plays and tournaments. – I want to enjoy this stage with my kids just a little bit longer. – I want friends to gather around our table a little more often. And I want movie and sushi night with the family to happen more. – And if you have to buy something from the store, bless this mom with the gift of coffee. LOTS of coffee! 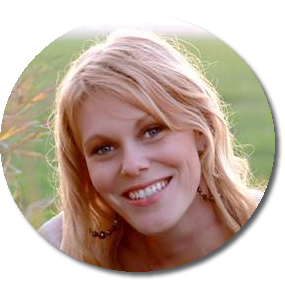 Heather Riggleman is a child of the Midwest and a coffee addict without a recovery plan. She is a full-time mother of three, author and journalist. She is learning to accept the mess after chasing perfect for too many years.